I know this won't be a hugely popular dish, but I had to post it, as I love it. I love a good bean salad, always have. So for those of you that like beans like I do, this recipe is for you. 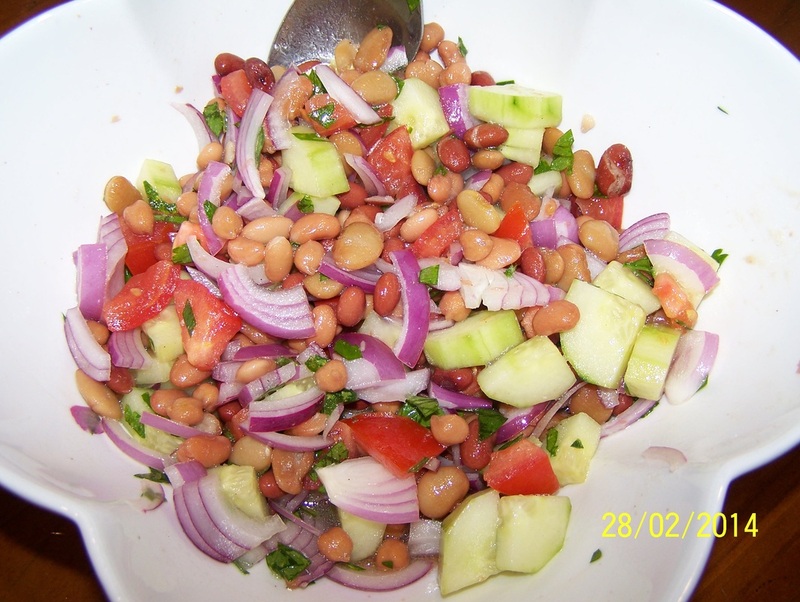 Combine the beans, onion, cucumber, tomato, parsley, oil, apple juice, vinegar and brown sugar in a medium sized bowl. Season with salt and pepper to taste. Mix well to combine. Refrigerate for 1 hour, or until needed.